Is your resume not getting any results yet? Aren’t you wondering why it has been months and yet it seems that no one knows you? No phone calls, letters, or e-mails? Do you really think that you are just not the best match for the position you’ve applied? Well, think again. 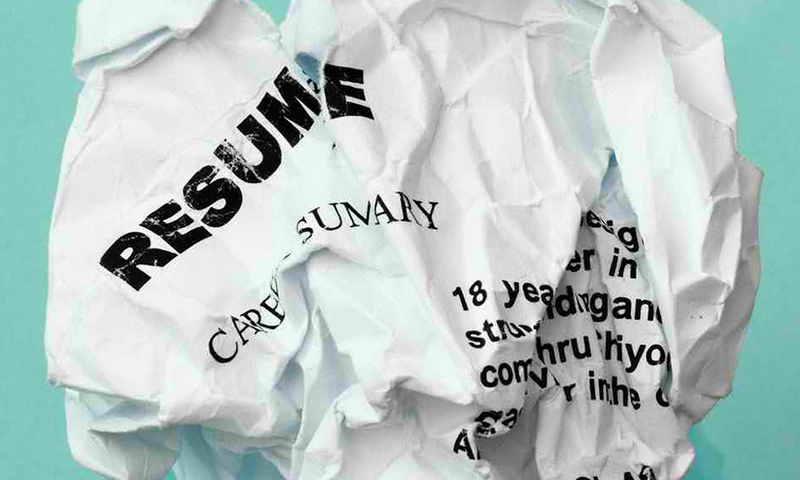 The real problem lies with your resume. It’s time for a review and a revision. Deborah Brown-Volkman, a career coach, once said that the perfect resume is focused, clear and written well.” The main reason why employers view your resume is that they wanted to learn about you without having to search for extra information and misspelled words. 1. Your resume is too hard to read. Don’t give your reader a headache; use readable fonts. Make use of bullets instead of writing lengthy paragraph. Also, add some extra spaces in between sections so the text does not run together. 2. Your accomplishments are too vague. It is indeed impressive that you have increased the sales in your last job; however, how do you stand as compared to the hundreds of other applicants who did the same thing? It is much better to use specific figures, such as 5.2 percent of $15,000.00. it does not only give a better picture of your achievements, nonetheless, it is unique to anybody reading your resume. 3. Your resume is poorly formatted. Every resume formats has its own characteristics. It doesn’t apply for everyone. For instance, you are a fresh graduate with little experience; a functional format resume might suit you instead of a chronological format. It will highlight your skills rather than lack of experience. 4. Your resume is missing some basic but imperative information. Basic information like your name and contact information should never be forgotten. It’s an SOP. If you have not included them, then no one will really contact you. Makes sense. 5. Your marketing style is poor. You might not have a vast working experience, but you probably have more than you think. You may of course include any volunteer work you have done. Besides, it still work – paid or not. Awards and citations you have received and education information should also be listed. 6. Big gaps in your employment history. To avoid further misconceptions, explain what you were doing during gaps between jobs. Be truthful so the employer knows you’re not hiding a sketchy past. 7. Your resume has typographical errors. The only and better solution to this is to proofread your work. Go over with your resume several times and have other people to review it, too. Typographical errors and misspellings leaves an impression that you don’t care about the quality of your work; thus, ending your career earlier. 8. Your resume has inconsistencies. Once you have chosen a style for your resume, stick to it. If you ended a bulleted sentence with a period, make sure you do it for all of them. Likewise, in choosing your preferred font and type of bullet, these should all remain all throughout the resume writing process. These inconsistencies speak of the quality of your work and your attention to details. 9. Your resume says a whole lot of nothing. The best solution to this once again is proofreading. Go over with your resume and make sure that you are actually telling your reader something about you. A resume with jargons and clichés does not tell the hiring manager anything. Make sure each line in your resume tells new information about you and your qualifications for the job. Every word counts. 10. Your resume is exaggerated. It doesn’t make good telling lies in your resume. It may only create trouble. Hiring managers are familiar with this lies and can identify whether you are stretching the truth; thus, they won’t hire you as they will never be able to trust you. This entry was posted in Resume and CV Writing and tagged recruiting, resume tips, resume writing.